This recipe is so simple to prepare and offers great big flavors your family will enjoy. 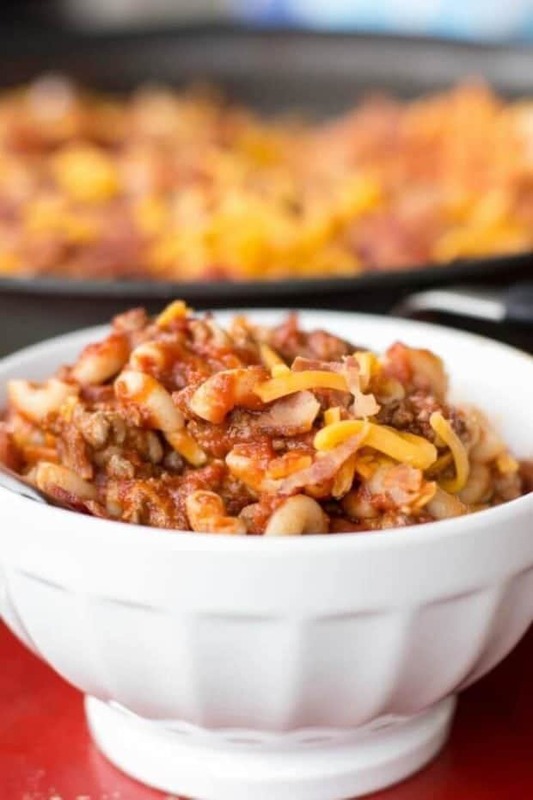 This hearty, cheesy, old fashioned goulash is an amazing dinner staple in our family! In the midst of shopping for school supplies, football equipment and new clothes, I’m on the lookout for awesome mealtime recipes. 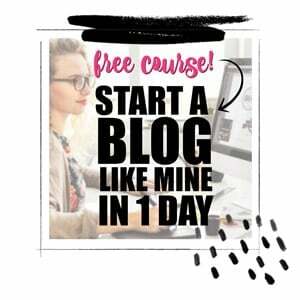 I know I will need to be even more intentional about menu planning with the busier fall schedule just ahead. I want recipes that don’t take hours to prepare but still taste great. I’m determined we will continue to eat dinner together as a family no matter how busy things get! 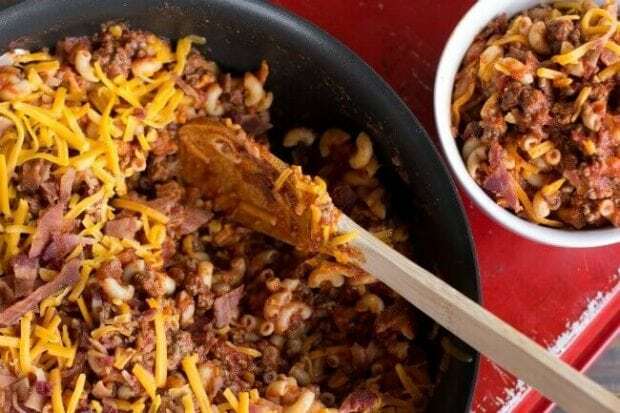 A dish like this classic goulash gets a “thumbs up” from all my guys. You have no idea how rare that is! Make sure you try our oven beef stew as well! Back-to-school is taking on new meaning in our family this season. 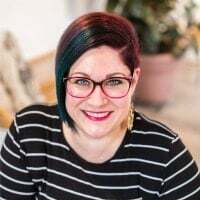 After several years of homeschooling, my oldest is returning to the public school system. He’s lobbied for this decision for the past six months—very effectively! My son, who hates early rising, even set his alarm clock and got up earlier than necessary just to prove he could keep regular school hours! Yes, I was impressed. I think the friends Jorryn has made through playing sports has made him even more interested in being with the gang throughout the day. He’s at that age where he wants to be with his friends more anyway. Sniff. No matter the time of year, my boys love simple meals that star pasta in them. There’s something about sauce and noodles that they all go wild for. A good homemade recipe and conversation makes the best dinnertime for us. I’ve read that families who regularly eat dinner together are healthier and relationally stronger. That everyday banter and just being together supposedly helps kids talk about their significant issues and shows them you think they’re important. In turn, that leads to better grades and better behavior choices. 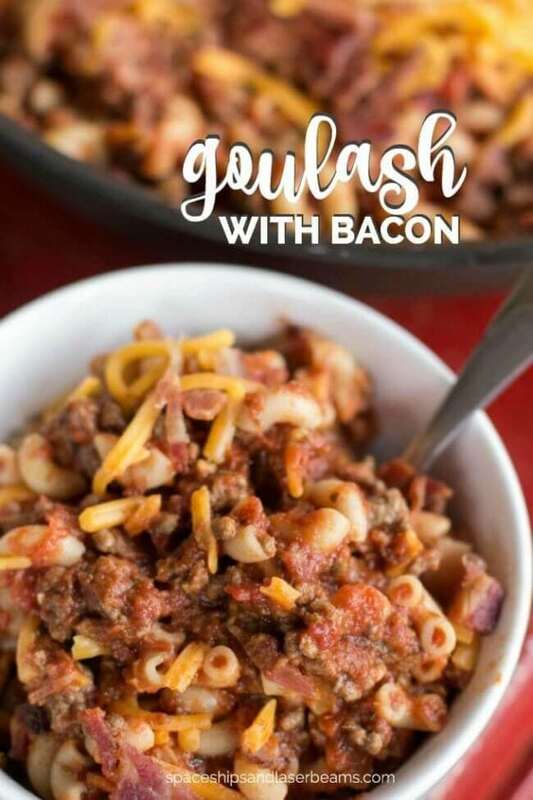 Pull up a chair boys, grab a bowl and let’s gab while we enjoy this goulash recipe together! Goulash is a soup or stew with meat, often seasoned with paprika and other spices. It’s said to have originated in medieval Hungary. I think it’s definitely become an easy American favorite over the years. There are lots of variations for goulash recipes. I’m going to share a delicious favorite with you today. 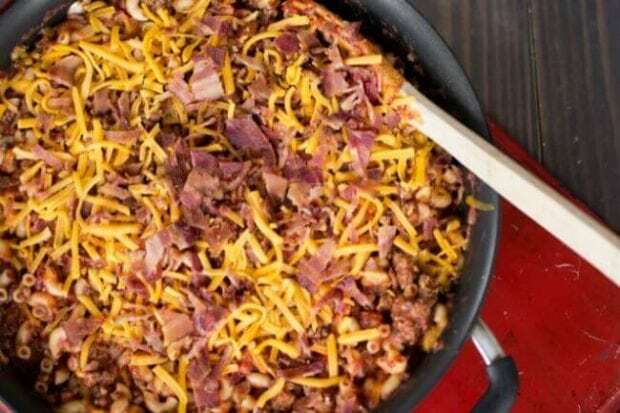 You’ll need ground beef, salt, pepper, elbow macaroni, traditional style pasta sauce, Worcestershire sauce, cooked bacon and cheddar cheese. You can’t go wrong with bacon, people! Start by preparing the elbow macaroni. Next, season beef with salt and pepper and brown until thoroughly cooked. Add two jars of pasta sauce and Worcestershire sauce to the hamburger. Stir until the Worcestershire sauce is completely mixed into the sauce. Add the cooked pasta and stir to coat. Stir in half the cheese until melted. Chop bacon and sprinkle on the top—you won’t believe the extra “wow” it adds to this dish! Top with the rest of the cheddar. Somebody set the table so we can get to eating! 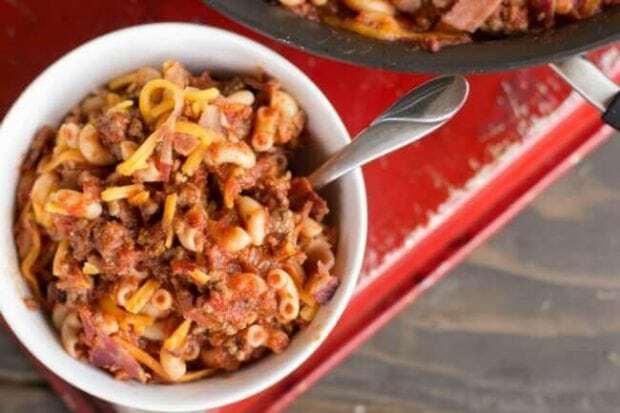 This goulash may seem “basic” but I promise you, it’s so delicious! Season ground beef with salt and pepper and brown until thoroughly cooked. Add 2 jars of RAGU sauce and Worcestershire sauce to ground beef. Stir until the Worcestershire sauce is completely mixed into the sauce. Add the pasta and stir to coat. goulash! I made it promise and it’s so delicious!